There I am in the midst of my Dresdens. Well it's a start. 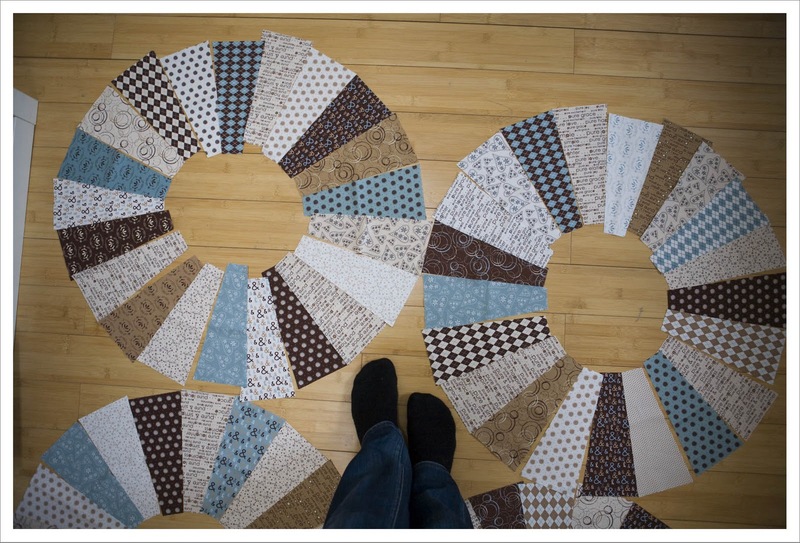 They are all cut and laid out in 4 circles as I am making a 4 circle quilt that is sort of sofa size. Not entirely happy with the layout yet as I think there is to much blue in there....will ponder a few more days on it as I have to finish the Single Girl Quilt first. One can always start a new project while one is finishing another one I think......one just needs to be careful to finish it !!! So I am of to a bit more wonky line quilting....I guess 200 m of thread will do it for tonight. 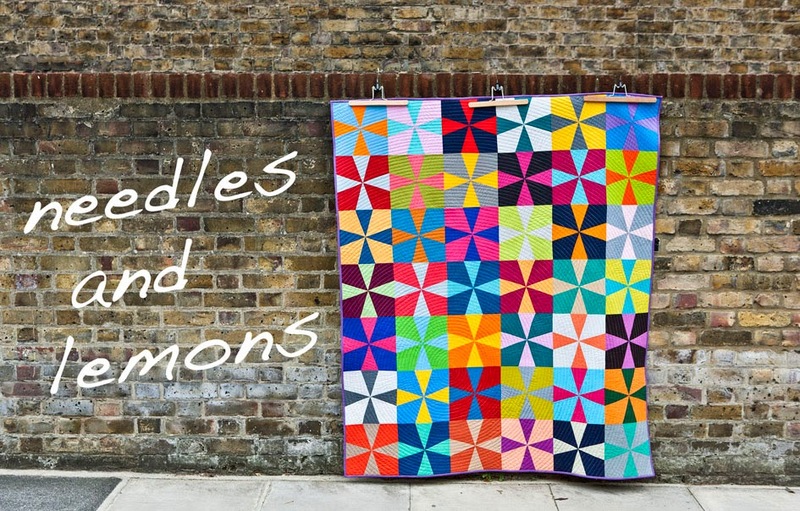 Anyways I then got really excited, as you're another newish London based quilter. Hurrah! I'm glad to know that I'm not alone. I look forward to following your blog.